Quercus agrifolia in this instance. Certain plant communities. After rain. All this and more can be yours! A view of Lofi Wines tasting room in Los Alamos where our Buellton warehouse neighbors Craig Winchester and Michael Roth purvey their wares while listening to records like proper art lovers. My valentine found an image of a human heart, some kind of scientific Illustration, pretty as a picture. 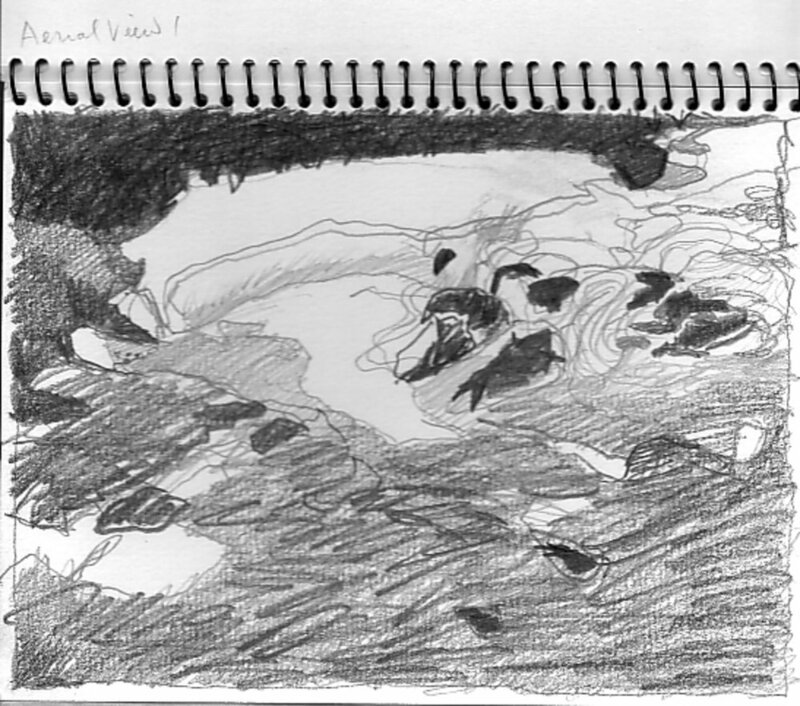 It’s how I think about the surface of my little round painting RP 12-1. Then I think about a big red ruby and remember how much I love Jonathan Borofsky, especially this lithograph. RP 12-1 is part of an ongoing exhibition of paintings, drawings, and prints at Lo-fi Wines, 448 “B” Bell Street, Los Alamos, CA 93440. They make nice valentines. Happy Valentine’s Day. Hooray for see-through red! Drawing with pencils is something I can do all day and not get bored. This is a detail of a large pencil drawing I'm working on now. My goal to finish it by August 1. 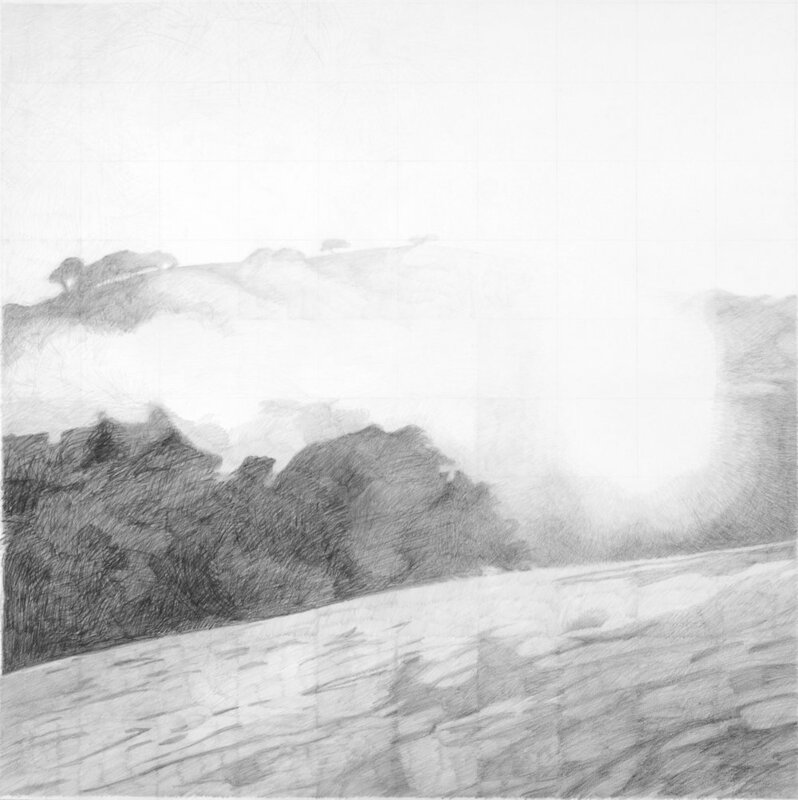 Original artwork by Alexandra Yakutis, 2005-6, graphite on cotton printmaking paper, 42 x 92 inches. This image, in an edition of 50, is currently available as a framed 13 x 19 inch print at Lo-fi Wines in Los Alamos, CA. Reception for the artist July 21, 2018, 3 to 6 pm. Still life with drawings, Culver City, California. These images are of physical objects, handmade by an individual. You can't see how he put the paint down here. You can't sit in the room. To be surrounded by paintings like this can evoke hallucinatory retinal effects. When I saw them the first time I had to pinch myself. When I realized art by Agnes Martin and John McLaughlin represented something crucial for me I wondered how to arrive at an authentic response. It has taken a really long time! Aurelion, cerulean, and vermillion with pink and blue light. There is daylight from above and white on the walls, but the paper isn't perfectly flat and colored light bounces all around. Important early work. I've been wondering about this old experiment lately. It still exists at https://yakutis.wordpress.com. Some links are broken, but LACMA has made there website better since 2011 and now I can share this image with you right here. My dad liked this painting so I remember it from childhood.